Ivar's River Pub gets its name from Ivar Gunnarson: Canadian WWII pilot, businessman and patriarch of the Texas Gunnarson family. Ivar first purchased and opened the San Marcos River Pub in 1996. Now his memory lives on in our name and commitment to hospitality, family, and fun! Ivar was born in 1923, the fourth of fourteen children born to Swen and Ebba Gunnarson in rural Manitoba, Canada. As a child, he loved animals and helped to maintain the family farm. On the many snowy days in the countryside, Ivar rode a sled led by his three beloved Husky dogs a mile away to his one-room schoolhouse. 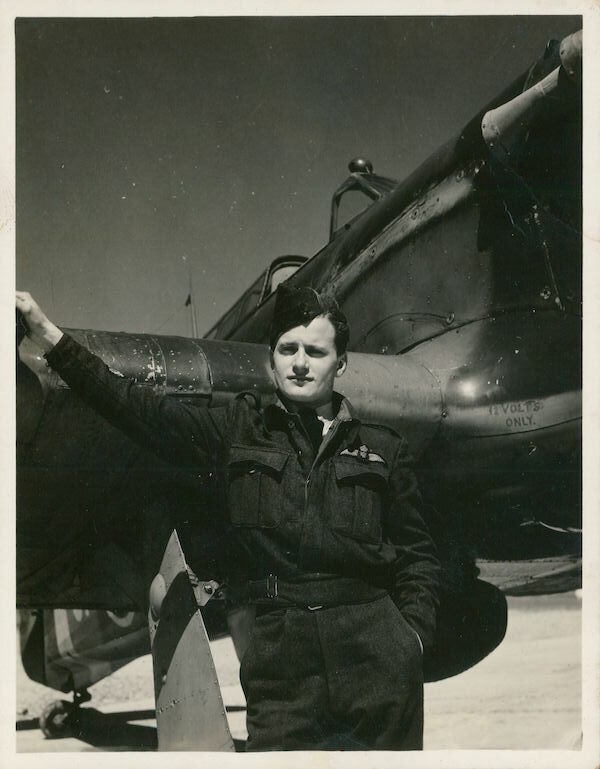 Ivar dreamt of seeing the world, and so as a young man decided to join the Royal Canadian Air Force and serve as a pilot during WWII. Known among his fellow soldiers as "Gunnar," Ivar developed a reputation as a talented, capable young man with a terrific sense of humor and a keen eye for a great photo-op. To show appreciation for the troops, local volunteers would sometimes stage extravagant "U.S.O." shows featuring dancing, singing, and live music. Ivar noted with interest how these displays of entertainment and hospitality seemed to really help folks forget their troubles and just have a little fun. After the war Ivar decided to venture into the realm of hospitality and entertainment, and in the early 1950's opened Ivar's Grill and I.T. Grill in Manitoba, Canada. He also lived above I.T. Grill, a combination restaurant, grocery, and butcher shop, and would eventually go on to start his family there. The first step in starting that family came when Ivar married his sweetheart Geraldine "Gerry" Harrison in a beautiful ceremony in Erickson, Manitoba in 1954. Later while visiting his sister in the United States, Ivar encountered an exciting new business opportunity and decided to move his wife and three children (Adele, Kim and Curtis) to Texas to start Gunnarson Outdoor Advertising in the early '60s. Ivar incorporated the maple leaf from his native Canada into the logo of his new company, a symbol that over the years would become his signature. Gunnarson Outdoor went on to become very successful, and still exists to this day! Upon discovering the picturesque San Marcos River and sensing an opportunity to put his previous hospitality experience to good use once again, Ivar purchased and opened the San Marcos River Pub and Grill in 1996. Ivar delighted in serving local families, vacationers, and college students, and the pub remained open for 17 fun-filled years until closing for renovations in late 2012. Ivar and Gerry were married for over 50 years until his passing on June 21st, 2005. Gerry later passed March 18th, 2007. Today Ivar's legacy of hospitality and family fun lives on in his namesake, the new Ivar's River Pub! ​Ivar's River Pub gets its name from Ivar Gunnarson: Canadian WWII pilot, businessman and patriarch of the Texas Gunnarson family. Ivar first purchased and opened the San Marcos River Pub in 1996. Now his memory lives on in our name and commitment to hospitality, family, and fun! ​Ivar was born in 1923, the fourth of fourteen children born to Swen and Ebba Gunnarson in rural Manitoba, Canada. As a child, he loved animals and helped to maintain the family farm. On the many snowy days in the countryside, Ivar rode a sled led by his three beloved Husky dogs a mile away to his one-room schoolhouse. ​Ivar dreamt of seeing the world, and so as a young man decided to join the Royal Canadian Air Force and serve as a pilot during WWII. Known among his fellow soldiers as "Gunnar," Ivar developed a reputation as a talented, capable young man with a terrific sense of humor and a keen eye for a great photo-op. ​To show appreciation for the troops, local volunteers would sometimes stage extravagant "U.S.O." shows featuring dancing, singing, and live music. Ivar noted with interest how these displays of entertainment and hospitality seemed to really help folks forget their troubles and just have a little fun. ​After the war Ivar decided to venture into the realm of hospitality and entertainment, and in the early 1950's opened Ivar's Grill and I.T. Grill in Manitoba, Canada. He also lived above I.T. Grill, a combination restaurant, grocery, and butcher shop, and would eventually go on to start his family there. ​​The first step in starting that family came when Ivar married his sweetheart Geraldine "Gerry" Harrison in a beautiful ceremony in Erickson, Manitoba in 1954. ​​Later while visiting his sister in the United States, Ivar encountered an exciting new business opportunity and decided to move his wife and three children (Adele, Kim and Curtis) to Texas to start Gunnarson Outdoor Advertising in the early '60s. Ivar incorporated the maple leaf from his native Canada into the logo of his new company, a symbol that over the years would become his signature. Gunnarson Outdoor went on to become very successful, and still exists to this day! ​Upon discovering the picturesque San Marcos River and sensing an opportunity to put his previous hospitality experience to good use once again, Ivar purchased and opened the San Marcos River Pub and Grill in 1996. Ivar delighted in serving local families, vacationers, and college students, and the pub remained open for 17 fun-filled years until closing for renovations in late 2012. ​Ivar and Gerry were married for over 50 years until his passing on June 21st, 2005. Gerry later passed March 18th, 2007. Today Ivar's legacy of hospitality and family fun lives on in his namesake, the new Ivar's River Pub!